When it comes to carrying stuff around, I am a minimalist. I like to carry a small tiny wallet for just the essentials — cash, ID, and three other cards. 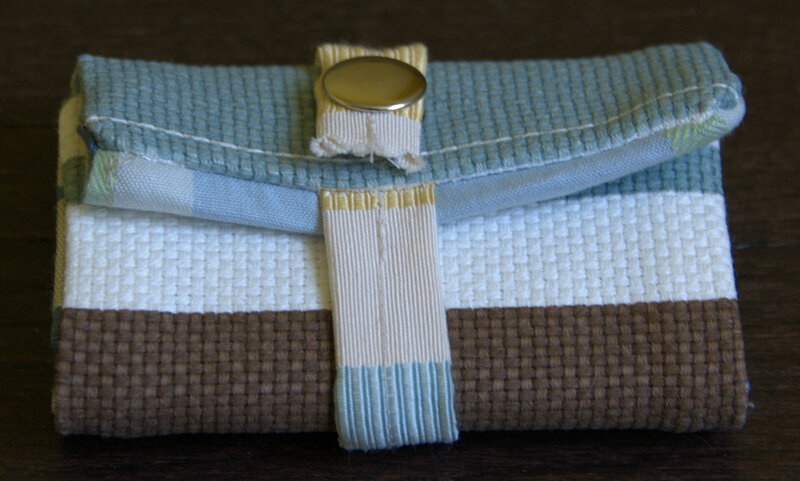 For all the other stuff – gift cards, store cards, i just put them in a snap button pouch that I made a while back. 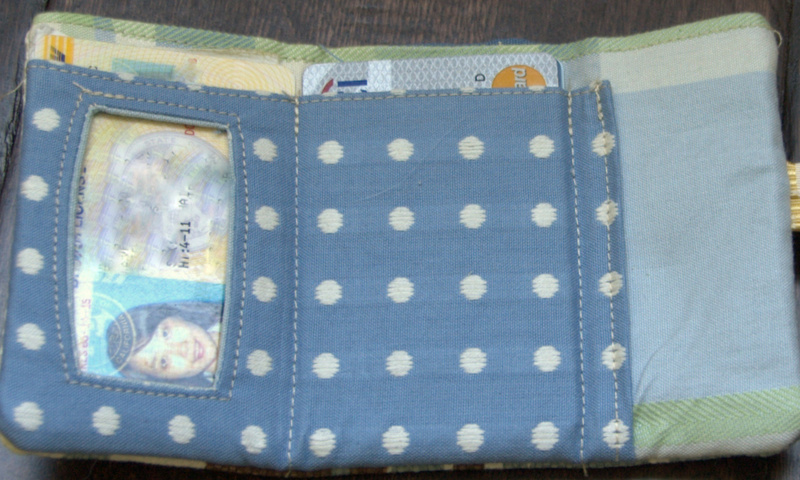 My old wallet from Kelso was falling apart after over a year of usage, so I decided to make one that is perfect for me. 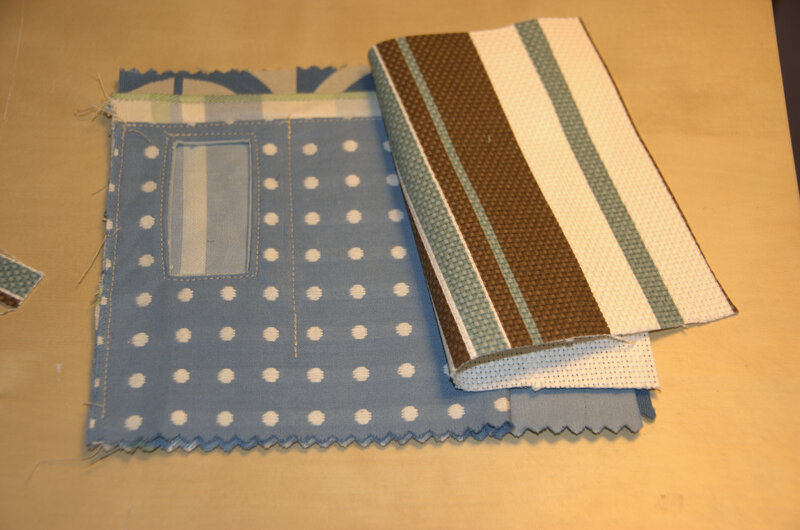 I got the scrape fabric a while back from Fabmo, they were sample fabric from a catalog, each piece is barely enough for this project. I made one pocket for the ID, such that you can see the information on my ID without taking it out. Another pocket for the three cards I carry around. Lastly the back has a larger pocket for cash. Here is how to make one for yourself. I didnt do any measurements, and rather just cut as i go. 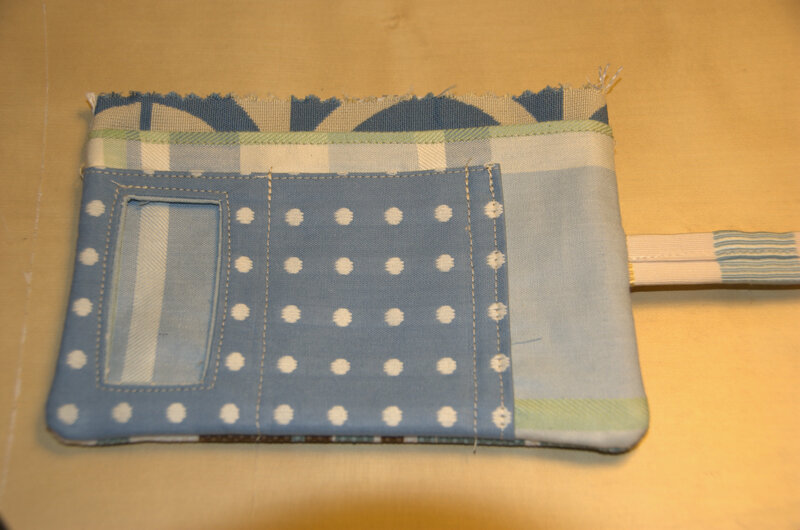 For the fabric you want to use as the pocket (the poky dot fabric above), topstitch the top seam folded over so that its finished. Take the fabric you like to use for the backing of this pocket, sew a little rectangle big enough for your ID information to show through, but not too big such that the ID would fall out. 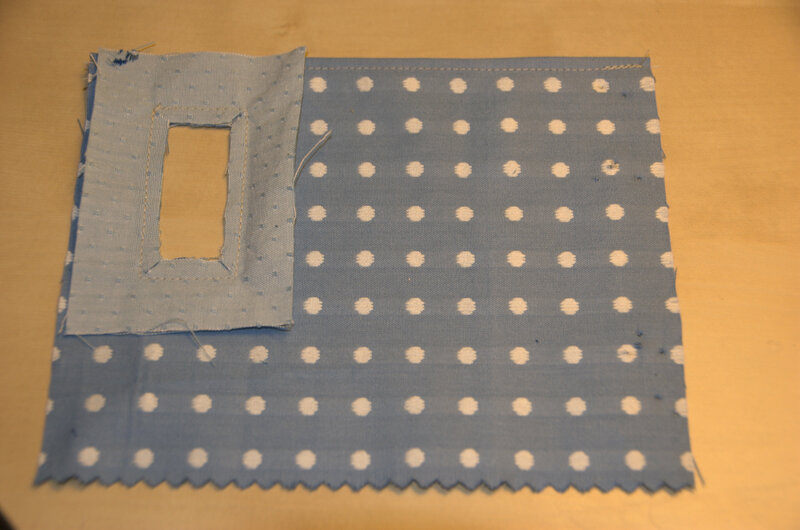 cut the middle fabric out, and cut the seam allowances into the corners. 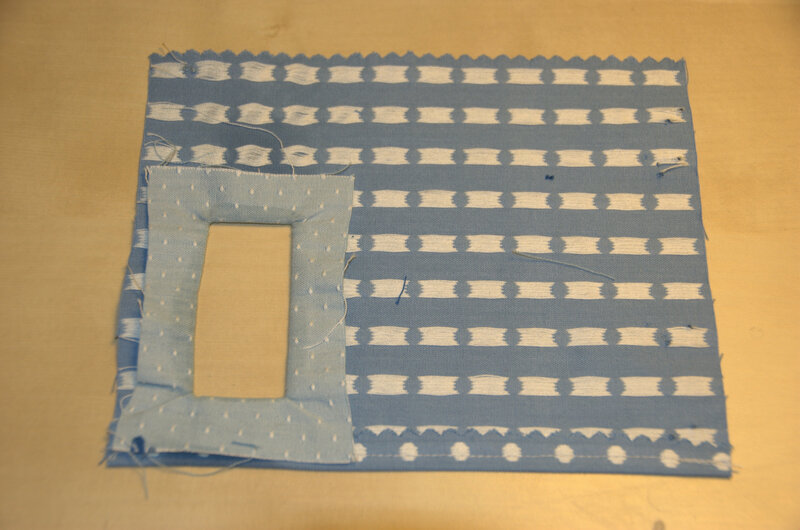 Turn the backing fabric over, iron it to make sure its flattened, and top stitch along the window. Top stitch the pocket piece (the poky dot one) to its back layer (the plaid piece), making sure that each pocket is just big enough for your ID and cards. I chose to finish the seam on the right by folding the seam over and top stitch it. 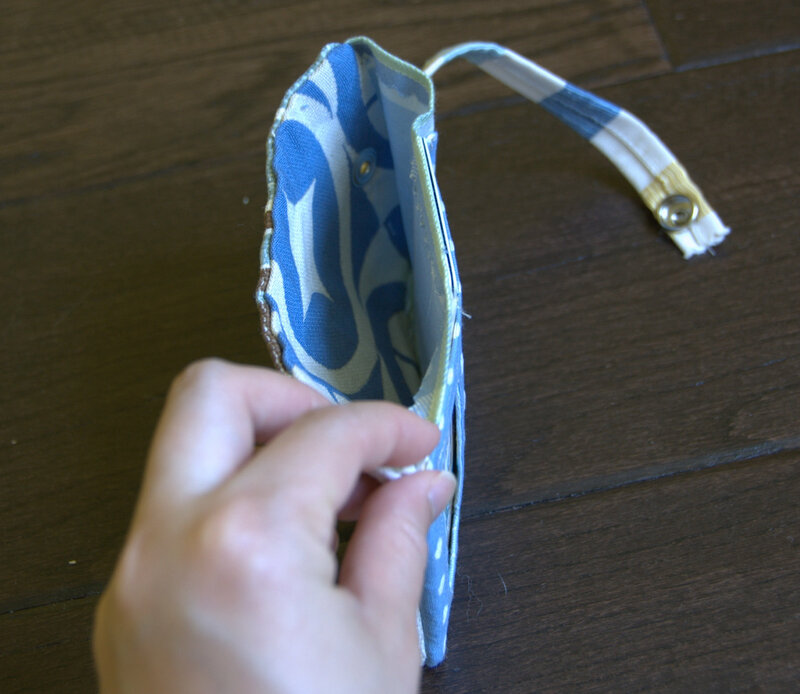 Put the outer shell on the top, and the inner shell of the money pocket to the back. In the last picture, you are seeing the right sides of all the pieces. 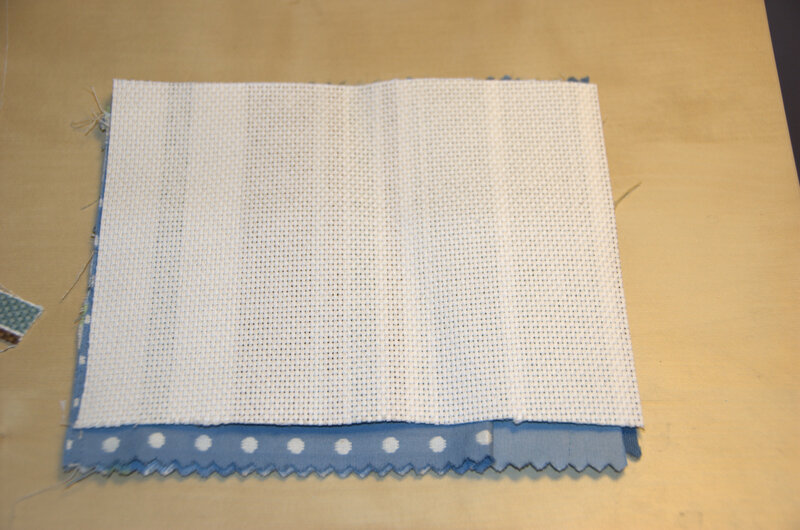 Stitch them all together as a square. note that I had left a lot of unneeded fabric on the bottom there. Leave about 3 inches not stitched on the top of the wallet. If you also want the string that went over the wallet, put them between the outer shell and the rest now before you sew everything together. Step 5: Turn it over and finish it! In the picture above, I havent sewn the top yet. 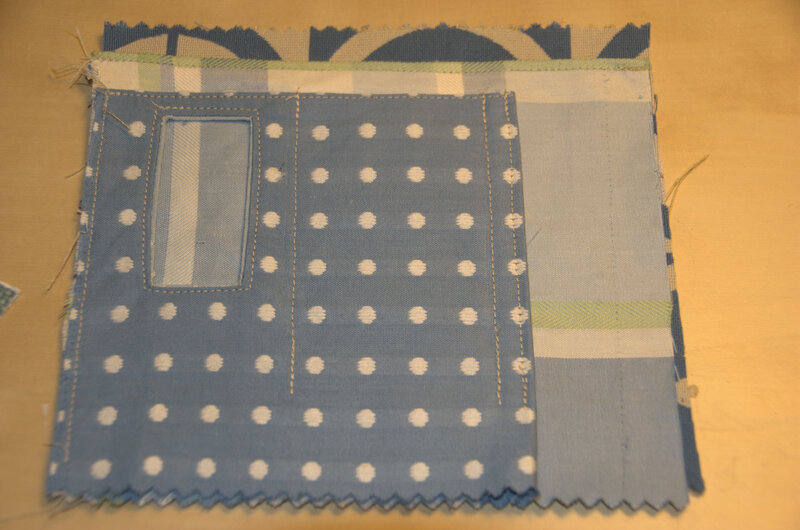 In reality i turned it back out and sewed 1-2 inches on the top sides, turned it over, then hand stitched the outer shell to the blue+white fabric there. Step 6: Iron, put on closure and you are done! I know I tend to be terse when it comes to tutorials, so if you have any questions please leave me a comment! This entry was posted on Saturday, June 25th, 2011 at 9:32 am	and posted in finished pieces. You can follow any responses to this entry through the RSS 2.0 feed. This is definately on my next-to-do list! I’m a terrible hoarder of scraps, and a terrible loser of wallets! Maybe if I make my next one myself, I might be a little more careful!